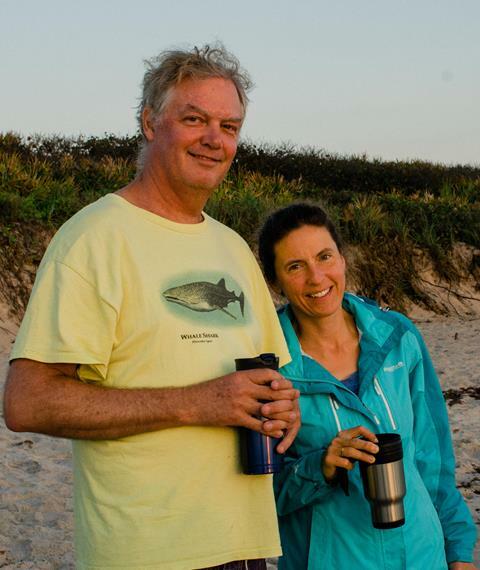 Meet Dr. Robert Sluka and learn about our marine work. This year, we are excited to collaborate with A Rocha International’s Marine and Coastal Conservation Programme to develop a marine conservation effort in the United States. Dr. Robert Sluka (Bob), the lead scientist for this program, has been working in the field of marine conservation for 25 years, focusing on marine protected areas and the ecology of coral reef fish and fisheries. Bob has worked internationally for most of his scientific career. After doing graduate work in Florida and the Caribbean, he spent ten years in South Asia, primarily India and the Maldive Islands. He was introduced to A Rocha on moving to the UK in 2006 and began volunteering. He later helped start the marine conservation work at Mwamba, A Rocha Kenya’s Field Study Centre. For the past several years he has focused on developing marine conservation work in Europe and Africa. Bob and his family recently moved to the Space Coast of Florida, an area known for beautiful beaches, the biodiverse Indian River Lagoon, and proximity to Cape Canaveral and the space program. The US Marine and Coastal Program will work to establish a field study center conducting research and education focused on habitat restoration in the Indian River Lagoon. The area is home to manatees, alligators, countless fish species, and a stunning array of shorebirds. Bob related to us that, “The needs in this area are great with constant pressure for development...like all beaches in the world, there is a problem with plastic pollution.” He is currently implementing citizen science research on nurdles (a microplastic) along the Space Coast. Read more about that in A Rocha's Microplastics Toolbox, an educational conservation tool you can use wherever you are. We are pleased to welcome Bob as he launches the US marine program. You can read more about his vision for the project on our blog, and you can contact him at bob.sluka@arocha.org. A Rocha USA is a charitable 501(c)(3) organization. All donations are tax-deductible as allowed by law. You are receiving this email because you expressed interested in A Rocha USA. If you no longer wish to receive emails from us, please hit the unsubscribe button below.